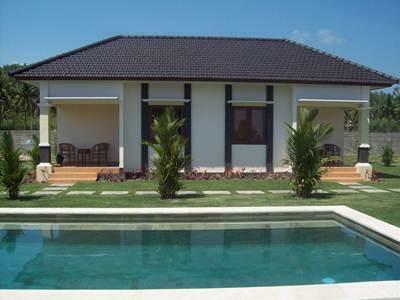 The Tastura Beach Resort is perfectly located for both business and leisure guests to Lombok. The Tastura Beach Resort is perfectly located for both business and leisure guests to Lombok. All 25 rooms at the hotel have all the modern facilities guests' would expect from a hotel of this class. Each guestroom has air conditioning, desk, hair dryer, television, shower, mini bar, balcony/terrace, satellite/cable TV. The basic amenities provided at this Lombok accommodation comprise laundry service/dry cleaning, restaurant, room service, safety deposit boxes, hotel/airport transfer. In addition, the hotel's guests can enjoy the leisure and sports facilities provided on the premises: outdoor pool, garden. Modern comfort and convenience are seamlessly combined to ensure the guests' satisfaction. To make your reservation at the Tastura Beach Resort via our secure online booking form, please submit your visit dates.